Most of you must be playing music files often along with watching movies on the system with your media players. Many of you may be still stuck with the conventional Windows media player to play all your files and must have faced difficulty with it. Today i will talk about some great media players from which you can choose and then use it to play your media files without any problems anymore. These are the best alternatives for Media Player you may have now. This one is a personal favorite for me. I always use this to play each and everything either its Audio or Video whether its VCD, DVD, AVI, MKV, Ogg, OGM, 3GP, MPEG-1/2/4, WMV, RealMedia, QuickTimeÂ or any other format etc. It lets you play almost everythingÂ seamlessly. I havent ran into it not being able to play any format of media files. 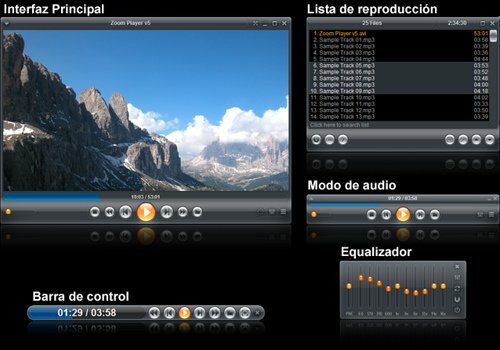 It got too many options letting you adjust everything you could ever think of starting from equalizer, Subtitles, audio settings, Video settings, 3D Surround sound, Audio/video Synchronisation and much more. Just think of something and you can change it just by your right-click. This is my another favorite. For many this player is too much odd and complicated. But for me ,its awesome. Mplayer basically is a command line Video/Audio player. Yes you read it right, Command line. This player is without any Graphical user interface. You can just download all the required standalone files in a folder and you can play your files straight away. For playing the files , the simple way is to just drag and drop the file on the MPlayer executable file. The codec files reside inside a folder within. And with all the codec files downloaded there, it plays everything you can imagine of. There may be just a few exceptions to this though. 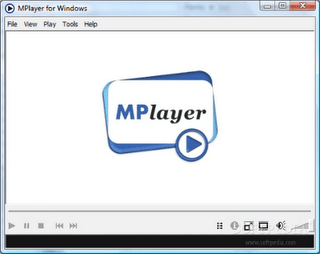 Developers of Mplayer recently though developed a GUI though and its available for Windows version. Previously GI was available only for Linux. Most of you may have heard about it or used it. It’s another Free player available with amazing options and performance. It can play various audio and video formats (MPEG-1, MPEG-2, MPEG-4, DivX, mp3, ogg, â€¦) as well as DVDs, VCDs, and various streaming protocols.It can also be used as a server to stream in unicast or multicast in IPv4 or IPv6 on a high-bandwidth network. By seeing this, you would be reminded of the very old Windows media player which used to be bundled with Microsoft windows till Windows XP came out. Dont go by the looks. It will beat Windows media player by miles in performance in playing media files. The interface is too simpleÂ but when you go in settings, it got loads of stuff to tweak on if you like them to be hanged or tweaked. Great for playing anything butÂ you will need to install all codes e.g. using K-Lite codec package for playing non standard media files. This is another great player. It got great features and i use it when i am not using KMPlayer. It got just few features less compared to KMPlayer and plays almost all the files except a few. Check it out. It supports most of the codecs (AVI, DAT, MPEG, DivX, XviD, WMV, ASF more) by its own embedded codec system that you wonâ€™t have to look for appropriate codecs every time when you canâ€™t play a certain video format.Also it is able to play incomplete or damaged AVI file by skipping the damaged frames. And it can also playback Locked Media Files while downloading or sharing (with real-time index rebuilding under certain condition: AVI downloading in consecutive order). This player from COWON even though having “Audio” added in its name , can play both audio and video files. It can also be used to convert Audio , RIp CDs, Record or even burn CDs. It lets you even broadcast your music over the web. You can have different skins changed at will. With some great configuration options in both Audio and Video , it’s a great player to have. Another player with some nice features but an odd interface at least for me. It does need additional codecs to play file and doesn’t have any inbuilt codec libraries with it. The options/ settings panel is also a bit minimal compared to say Mplayer or Media Player classic. This a great player when you want to play just Audio files. 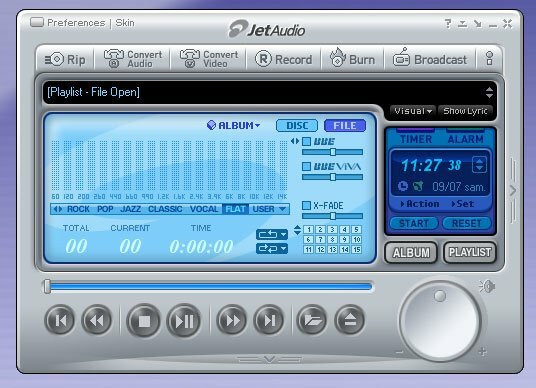 It provides a simple interface similar to Winamp to play audio files with some good features like a full 10 band equalizer. This is another great player which can play both audio and Video files with ease. This also got some good configurable options especially when you are playing a Video file like subtitle synchronisation. Winamp’s old version(2.x.x) is still my favorite when it comes to play mp3 files on my system. I am not a big music freak, but sometime i love to listen to music and then use Winamp. I love the minimal nature of it without any complexities. The latest version of Winamp is having more features and Menu along with a big skin. It may be loved by many users across the web, but for me its a big NO. I am still sticking with the minimal stuff to play my mp3 files. New version also includes ability to play Video files too provided your system has the required codes to play the file. This is basically an enhanced Version of Mplayer about which i talked about in the starting of this posts. It brings all the features and options available in Mplayer command lines to a graphical user interface. Just a note here. I have omitted Windows Media player here from the list just because it’s already pre-installed on every Windows system. I have almost never used it at all and many of you may forget about it if you start using its alternatives listed above. Both SMplayer and KMplayer runs on the same engine of Mplayer but only frontend changes. I ran into problems with BS player. To me VLC is the ultimate. I am with u. But KMPlayer can not play RMVB video format. Very informative post, came across some media players that I havent heard before. And I agree that KM player is the best, plays almost any format and the built-in codecs ensure perfect audio and video clarity/quality. Tried Gomplayer too, looks good. yes that’s right. I have seen people going with windows media player only and dont even know that much better players exists and that too for free. Hopefully this post will help many of you find some good alternatives. I liked the zoom player the most. But i also agree that the KMplayer is also very nice. So you all should try the zoom player also once. my self rajat kashyap and according to me vlc is the best. Great info. i like it. I think KM player is best player. it play almost all formats. For me also kmp player beats all. For music playing use music bee or even songbird. VLC for video. It’s light, (ANY)codec-independent, doesn’t have unnecesary features etc. Winamp for music. plain and simple talking; it’s simply the all-round, complete music player. These two are the must have. And so far I haven’t ever found a single media player that’s so easy to use when using it for music AND video. Itunes is too restrictive and cant play all media files. Now only AIMP !!!! This player is very nice, many edit and customizations !! for me best media players are vlc,kmp, zoom player.